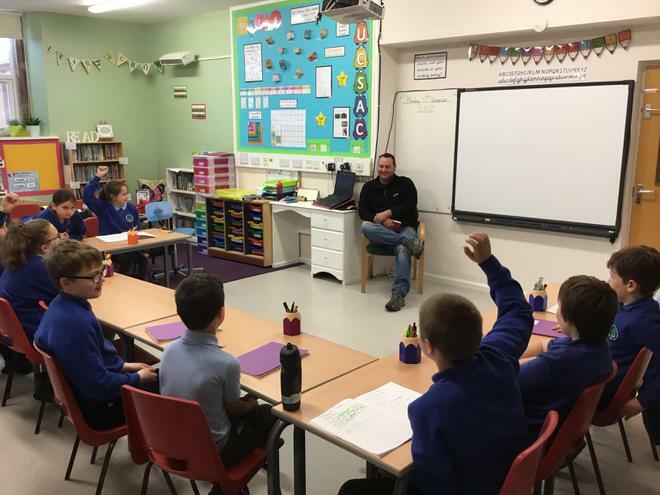 Class 3 interviewed local farmer (and parent governor!) Mr Thomlinson in English today. Mr Thomlinson told us about current concerns of Cumbrian farmers and all about his own farm and animals. We learned a lot, and now have lots of excellent ideas for our writing. Thank you Mr Thomlinson for giving up some of your time to answer our questions.